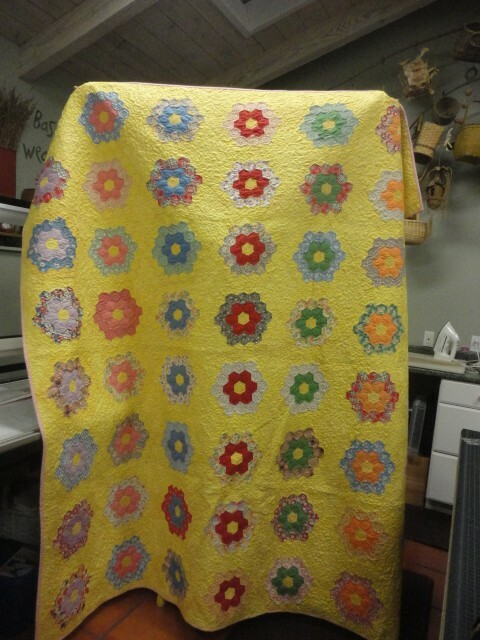 My friend and I went to a porch sale, and she scored this wonderful, although wonky, Grandmother’s Flower Garden quilt. 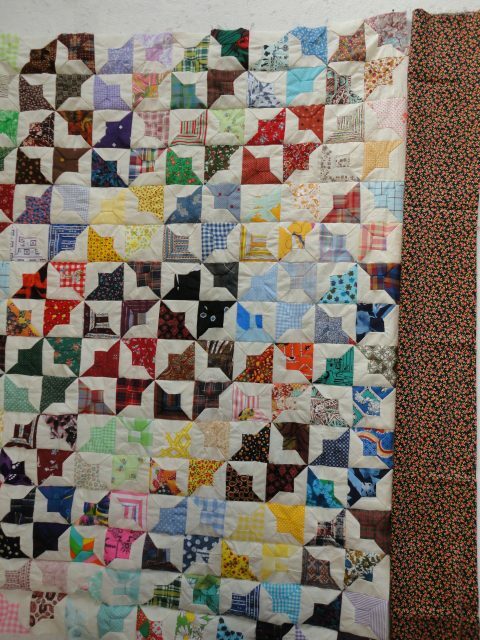 It was not rectangular, it was crazy wobbly at the edges, it was not symmetrical, it had a LOT of issues But it turned out to be a spectacular quilt. It took many hours, but it was a pure joy to bring it to life. custodia piquadro iphone 6 plus Don’t you wonder what the original maker would say (or think) now that it is done? I can imagine that she would be very proud and happy that it is now a useful item. 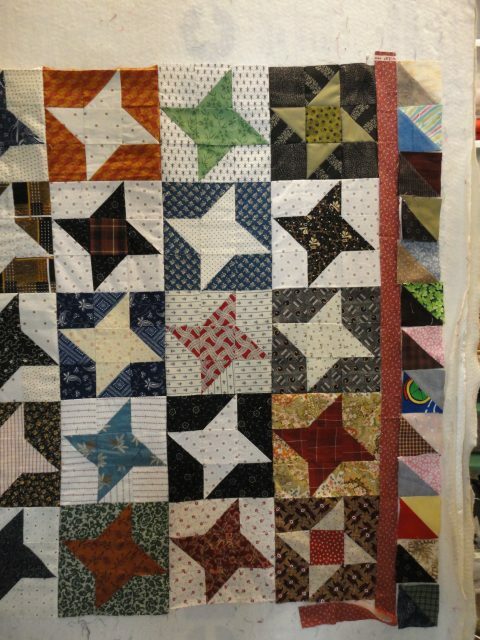 I recently saw an extensive display of antique quilt tops turned into quilts at Road to California Quilt Conference. custodia iphone 8 plus antiurto I was inspired to finish even more of the antique tops I own. custodia iphone 7 plus con anello Where to start though? 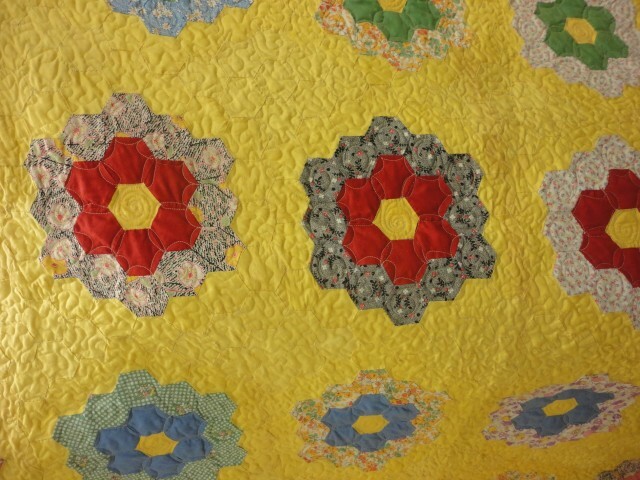 Here is a real close up of the quilting I did to put it into submission. I think this is called the friendship star. My friend, Sally, gave me 19 of these. The challenge was to turn them into something wonderful. I made one more block so I could assemble them 4 across and 5 down. Once I did that, I had to audition borders. custodia iphone 7 con brillantini The black is OK. Half square triangles makes it too busy. I kind of like the blue on the left, but maybe it’s too busy. custodia iphone 7 acqua The black on the right is too stark. I’m going to settle for the blue on top I like the way it turned out. 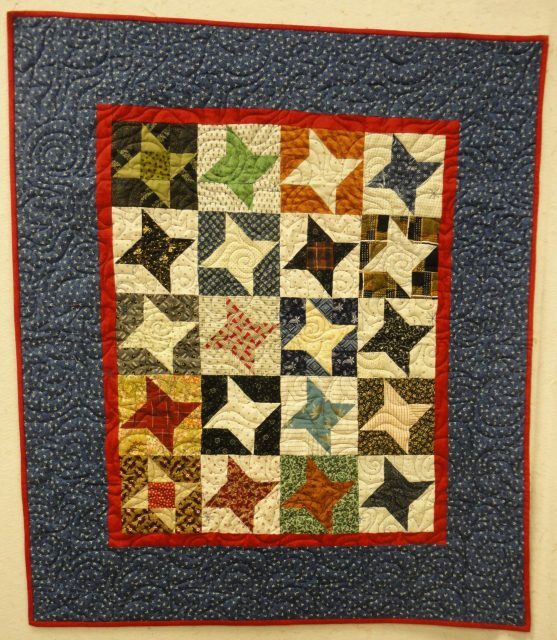 I quilted a moon and stars motif and called it Milkey Way. custodia iphone 6s spigen I know I spelled it wrong, but it’s too late now. custodia iphone 6 plus puro The label is on. 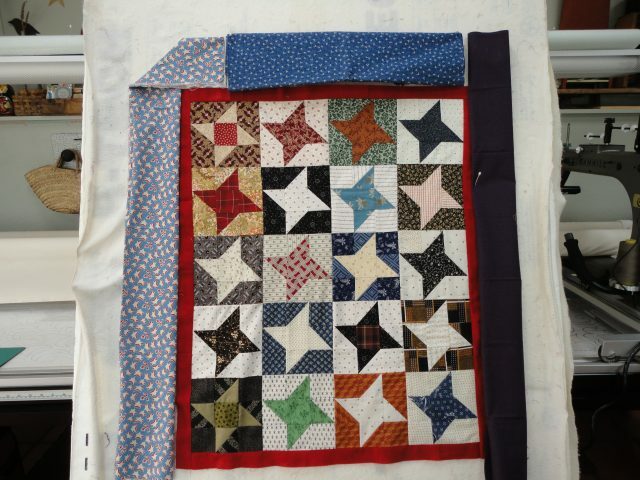 I think it will make a very nice baby quilt. 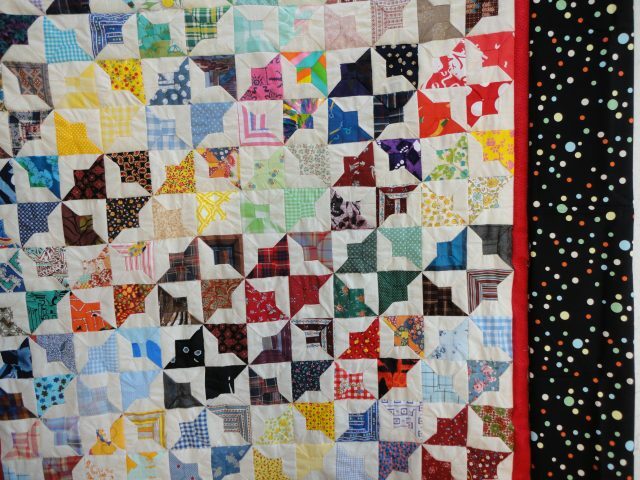 Can you stand me bragging one more time about our fabulous quilt? 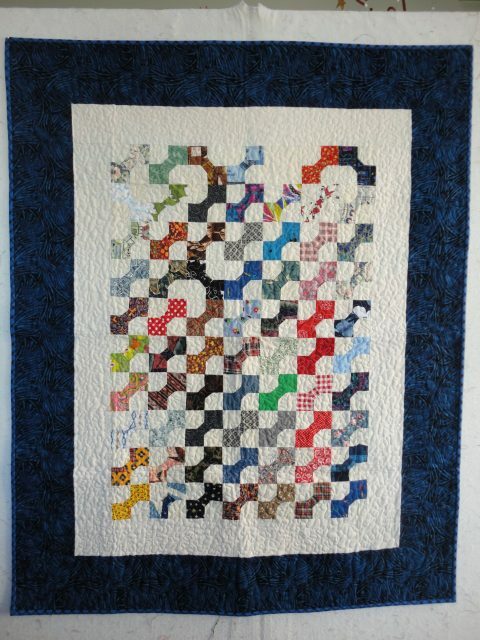 This link gives a little bet more background and some detail shots of the quilt. 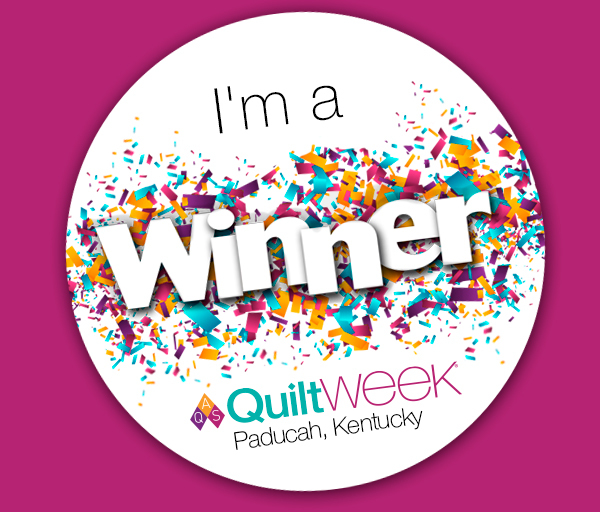 Check out Melissa’s blog:http://www.makingitsweet.com/2016/06/bobbin-buddies-win-1st-place-at-the-american-quilt-show/ My friendship quilting group called the Bobbin Buddies WON at Paducah! 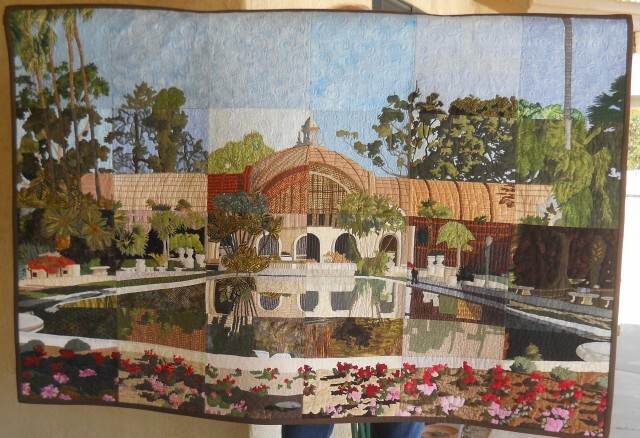 This is our Quilt Entry, the Balboa Park Conservatory. We won first place on it. custodia iphone 7 plus fenicottero I’m so excited I can hardly stand it. I’m flying out tomorrow and will see it in person on Thursday. custodia trasparente iphone 5s What an honor! What a blast! 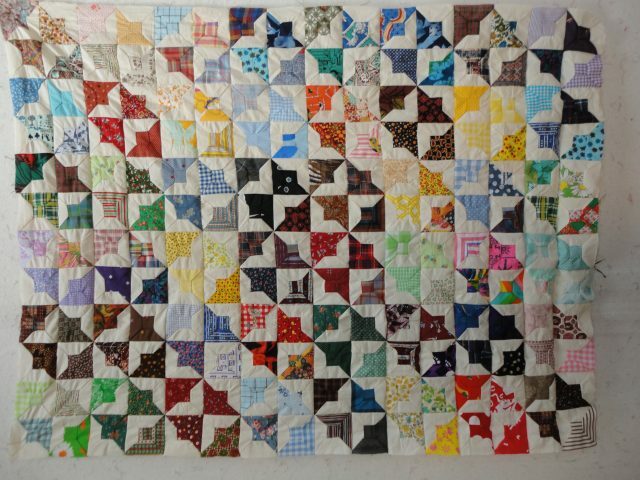 The Bobbin Buddies are Diana Price, Judi Shacklett, Clara Gibson, Joan Cunningham, Cece May, Marilyn Fingerman, Wendy Held and ME! Oops! My buttons are starting to pop off my shirt. 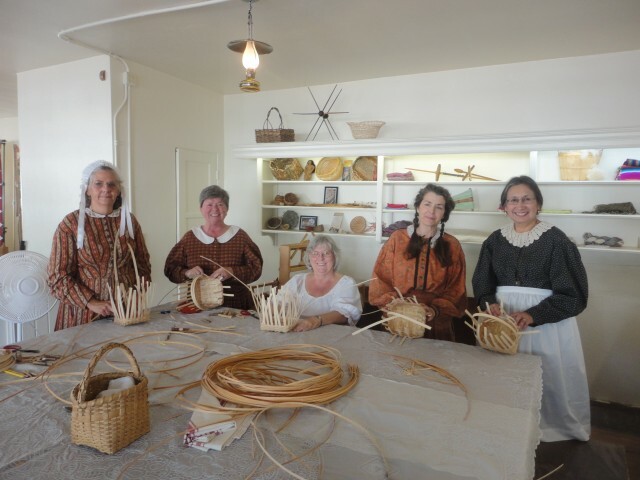 It is such fun to work in Old Town, San Diego. custodia iphone 7plus con batteria There is a small basket guild that meets monthly. 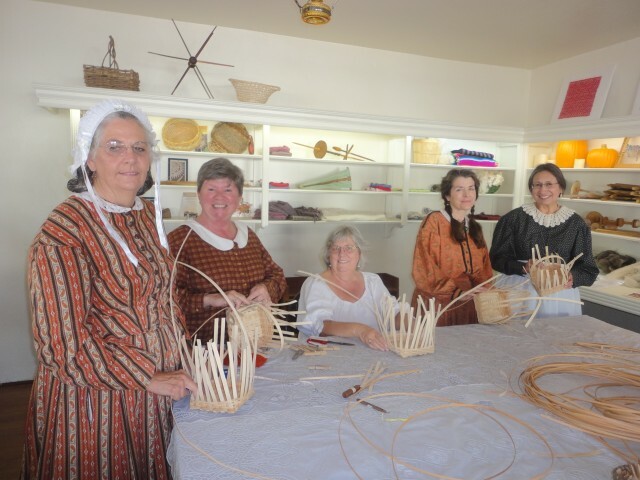 They invited me to teach a small market basket class. custodia iphone 6 mirror It is the one pictured in the front left of the table. The requirement here is that we wear period appropriate attire. That was easy for me (second to the left) because I was an intern there in 2009. custodia iphone 7 trasparente ultrasottile The dress is really comfortable, too. custodia iphone x ikalula We’ll meet one more time to finish the basket, but you can see the students are off to a great start! They meet the first Wednesday of every month at 1:00. 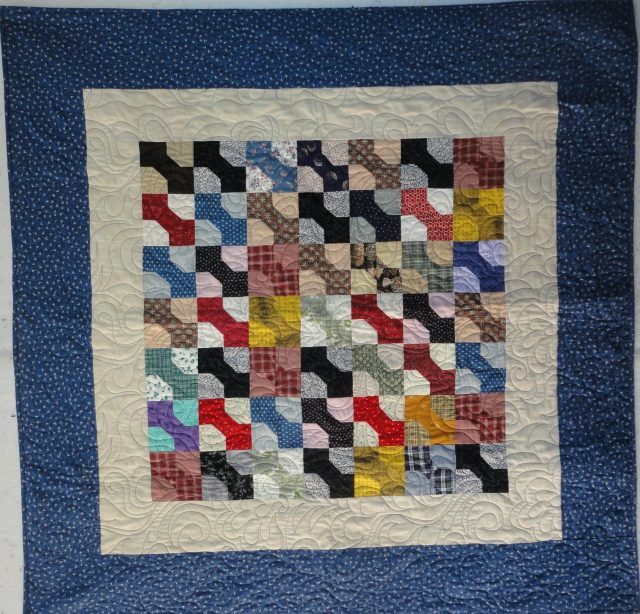 I didn’t know the name of these blocks, so I went to my Encyclopedia by Barbara Brackman, and sure enough, there it was! Then I did a Google search and found many, many variations on them. There were a few settings to choose from, but I settled on this one. custodia silicone iphone 6s originale These little blocks were hand pieced with brightly colored thread. custodia iphone 6 rosa antico They finish out at 3 1/2″ I grouped them in 4s by color, then joined them together. custodia astuccio iphone x Here I am auditioning borders, and I felt this one was too busy. 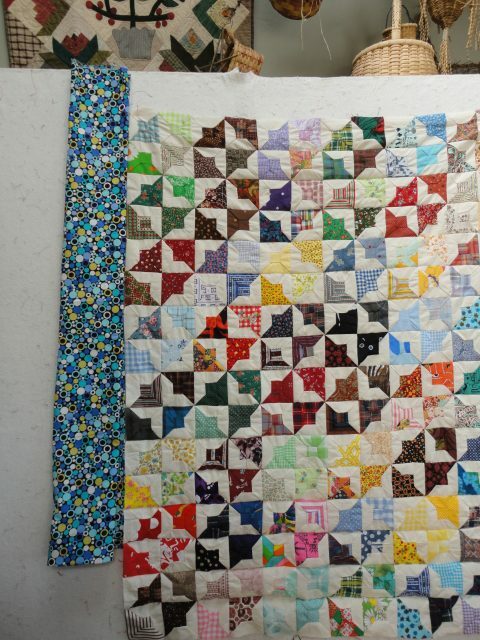 Then I started auditioning more borders. . .no. . . no. . . no No, too busy No. reminds me of Wonder Bread. No. this doesn’t work either. I finally settled on a solid red corduroy border with corduroy binding on the bias. It is positively charming, but I failed to get a picture. custodia anti acqua iphone 8 It was donated to Prayers and Squares. 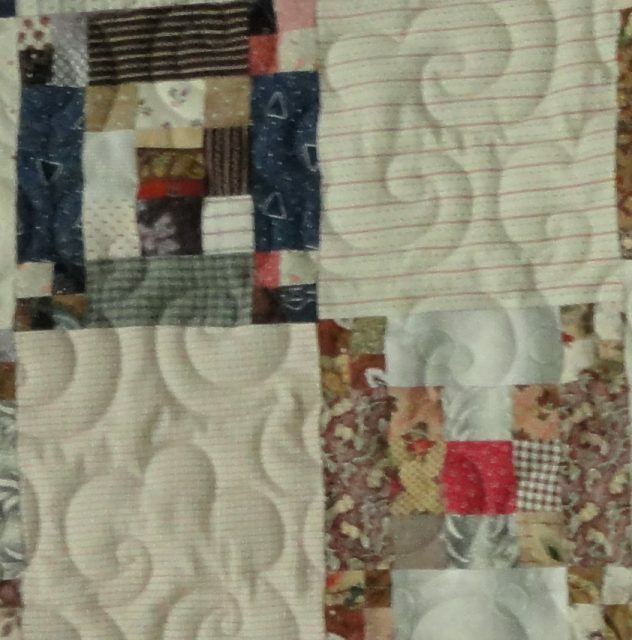 custodia a specchio iphone 6 I promise to show completed pictures in the next quilts created from hand pieced blocks. 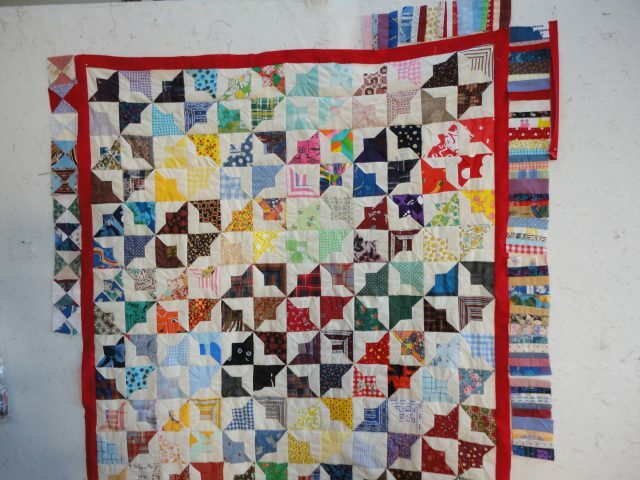 This was one of 17 blocks of it’s kind that were gifted to me by my friend, Sally. custodia iphone x unicorno The 4-patches in the corners are not so good. custodia ricarica iphone x The 9-patch in the center is not so good. custodia militare iphone 7 plus But someone took the time to assemble them all together, so my challenge was to make them look as pretty as I could. I auditioned all different colors and styles of fabric, but the only ones that really played well were shirtings. custodia iphone 7 pelosa So I paired up each of the blocks with a different shirting. I added a little pink framer border and a brown outer border. custodia brillante iphone 6s But I didn’t have enough brown border fabric, so I made two 9-patch blocks to go in opposite corners (Lyn Mann says repeat a motif from the main quilt in the border, so I did!). custodia iphone x anti gravita I used all kinds of flannel scraps for the back of the quilt and some left-over wool batting that I had to piece in 3 places to make it work. Don’t you just LOVE hearts? I especially like primitive ones. 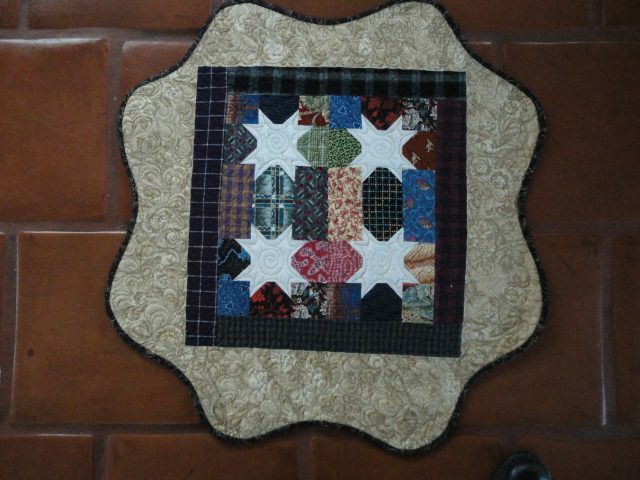 custodia mimetica iphone 7 I have many heart quilts, so this one is more of a table runner or banner type. 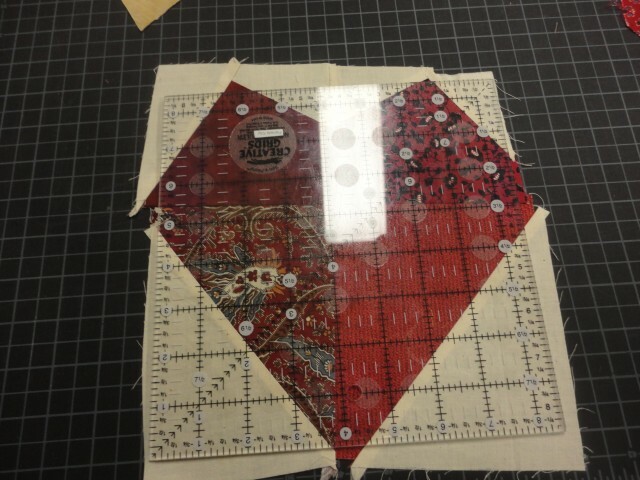 This is an original design that I made up to teach my quilt guild how to do a primitive heart. Pretty fun and pretty scrappy. Let’s make a primitive heart!Remember: Primitive is not sloppy, just naive or untrained or child like. I still want it to lay flat and hold together well. 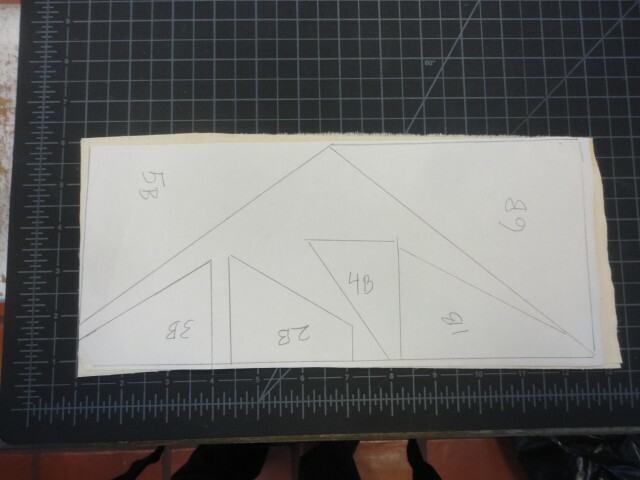 To begin with, draw an 8 1/2″ square. 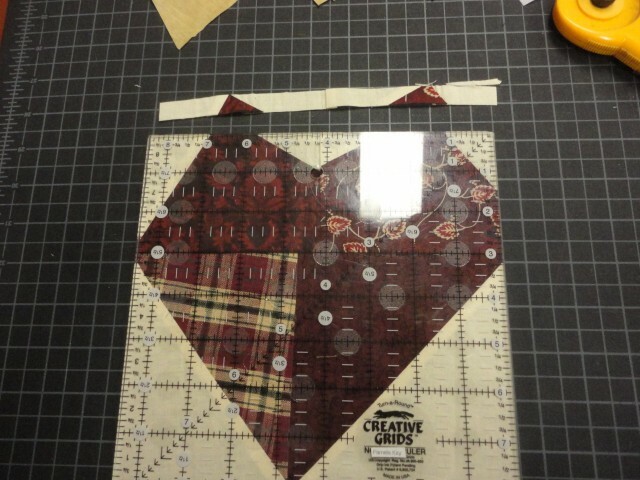 Divide it into quarters-more or less-Draw your primitive heart lines, points aren’t necessary and curves aren’t necessary. (Refer to picture above.) 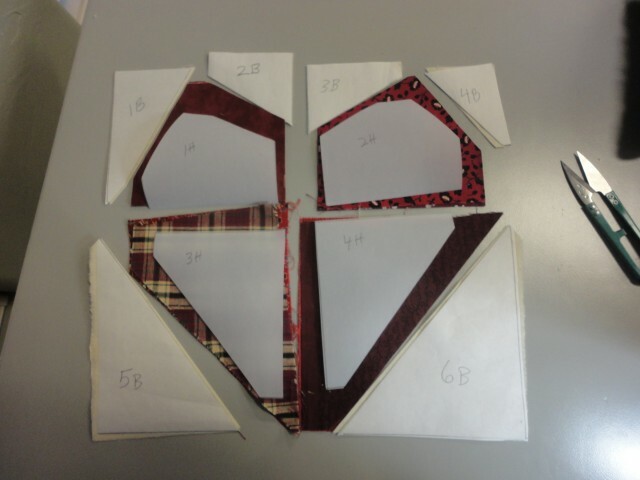 Label the pieces sequentially, 1B (background) 2B, 3B, 4B, 5B, 6B; and 1H (heart) 2H, 3H, 4H. 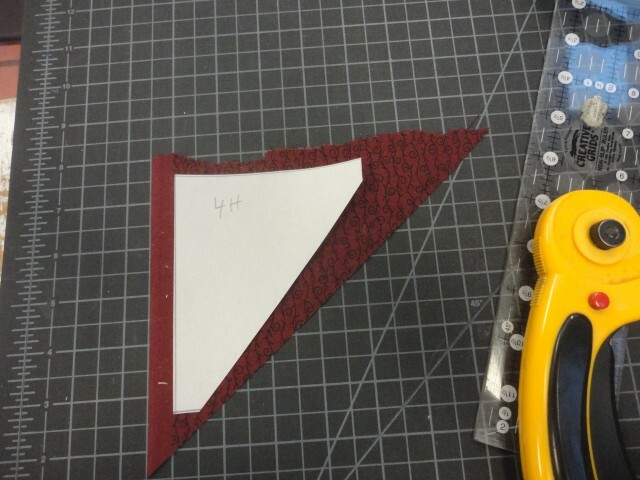 Cut the pieces apart, place on top of freezer paper and add 1/4″ seam allowance all the way around. Label the pieces. 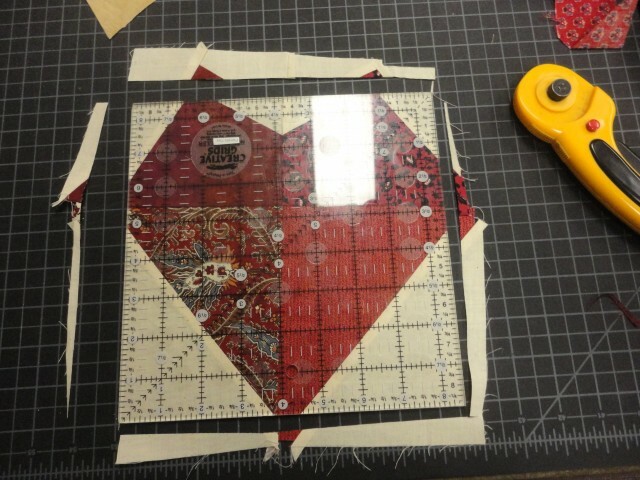 Iron the freezer paper templates to the background fabric and cut on the lines. custodia iphone running Grain line is not critical, but I like to keep at least one of the outside edges on the grain. 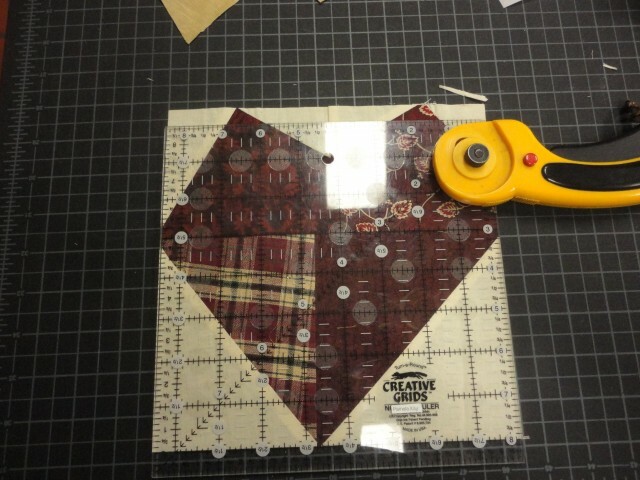 custodia iphone 6 joyguard Iron your freezer paper heart template to red fabric and cut around it. 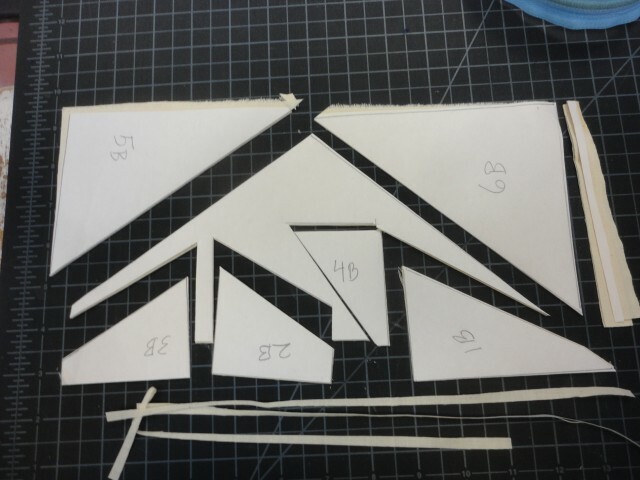 Sometimes I layer 4-5 fabric pieces and cut them all at once. 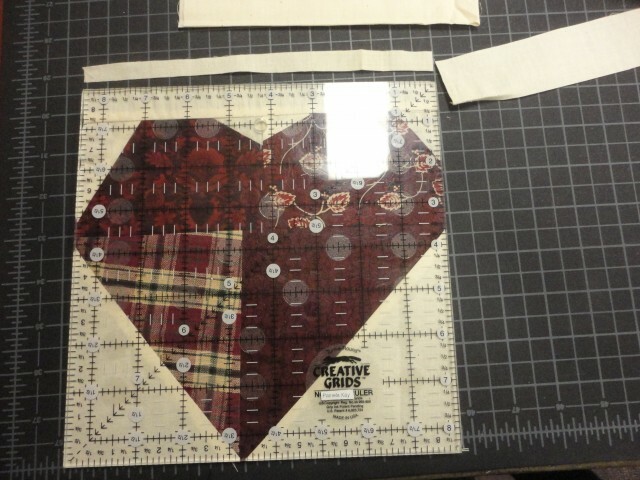 Now I lay out all the background and heart pieces in the order they will be sewn. Sew 1B to 1H, then 2B to 1H, then 3B to 2H, then 4B to 2H, then 5B to 3H, then 6B to 4H. 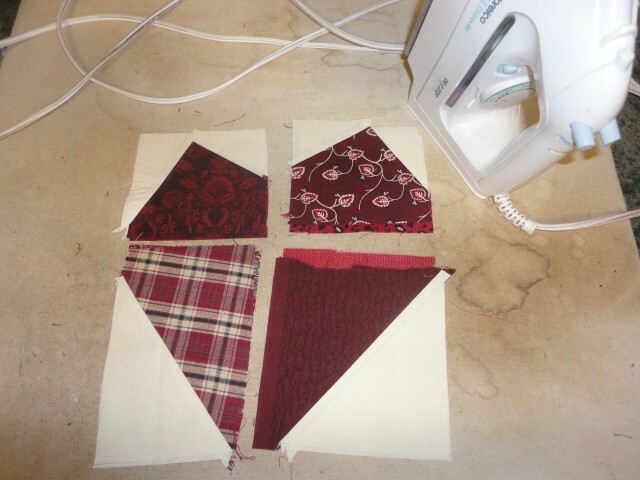 Now sew the two bottom half pieces together in the center, then the two top half pieces together in the center. 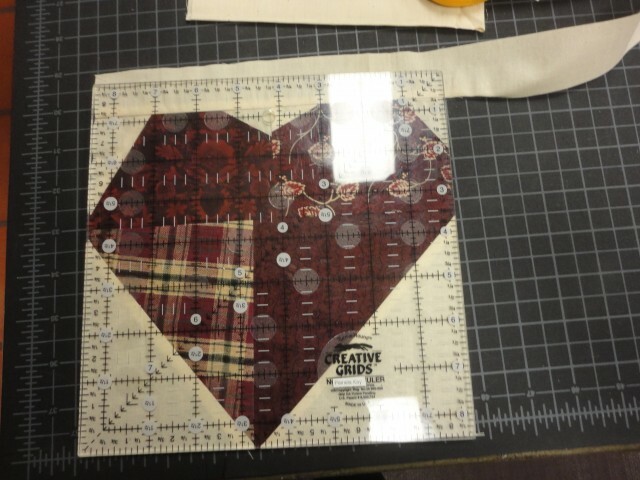 Now sew the top half of the heart to the bottom half of the heart. It does not matter if the seams match. 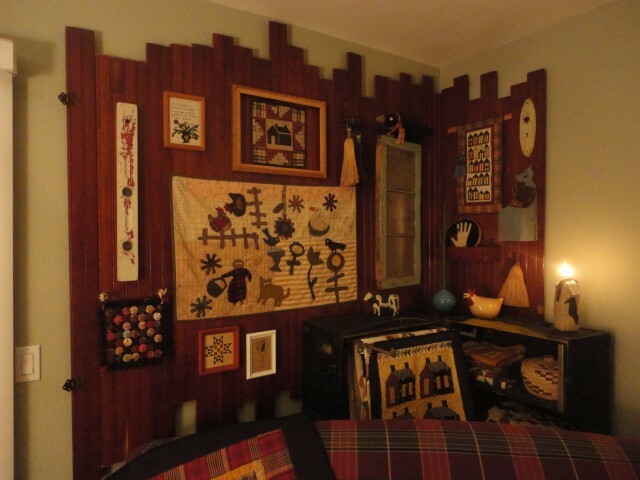 In fact, I think it is more charming if they are “casually off.” The pieces look pretty rough here, but I don’t mind. 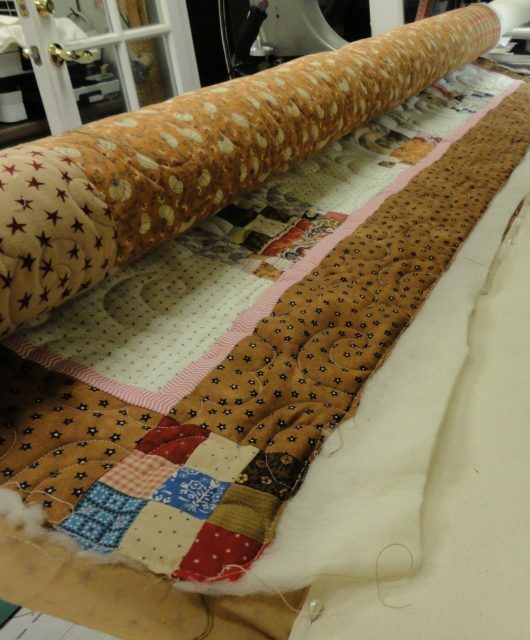 You can clean them up in order to have a nice flat straight seam on the back side. custodia iphone 6 leathlux I have “cleaned up” the center sewing seam for this section. I sprayed starch on the heart and gave it a good press. 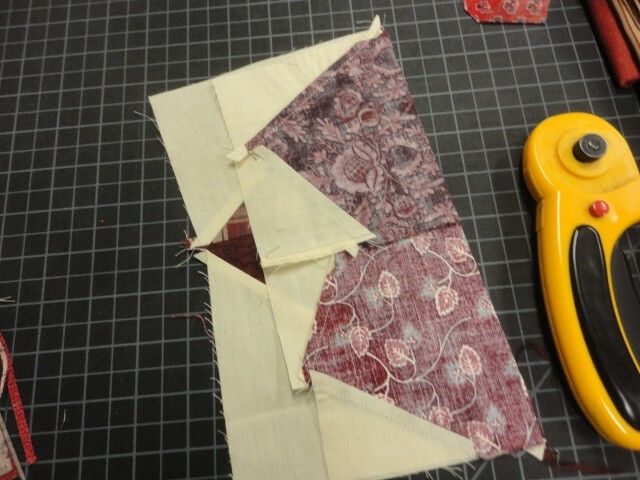 Then play around with ruler placement and get a nice 8 1/2″ square block. Don’t worry about chopping off points. I wanted the heart to have more definition, so I cut off the tips of the heart and added a background strip so the heart would float. See how the plaid is casually off grain? I think that adds more interest to the block. 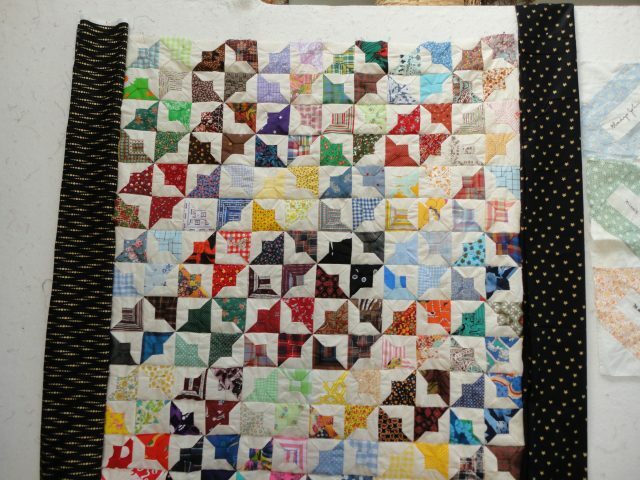 Now I added the oversized background strip And cut off the excess once I sewed it to the block I made 5 blocks, arranged them to please my eye, set one on it’s side and sewed the runner together. 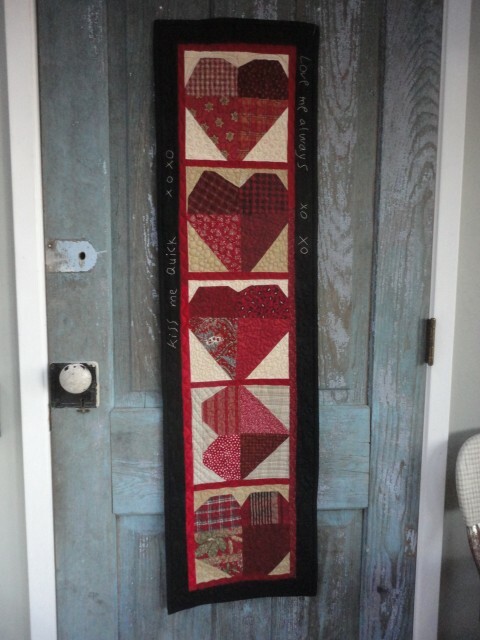 I added 1/2″ red sashing and a 2″ black border, quilted and bound it. 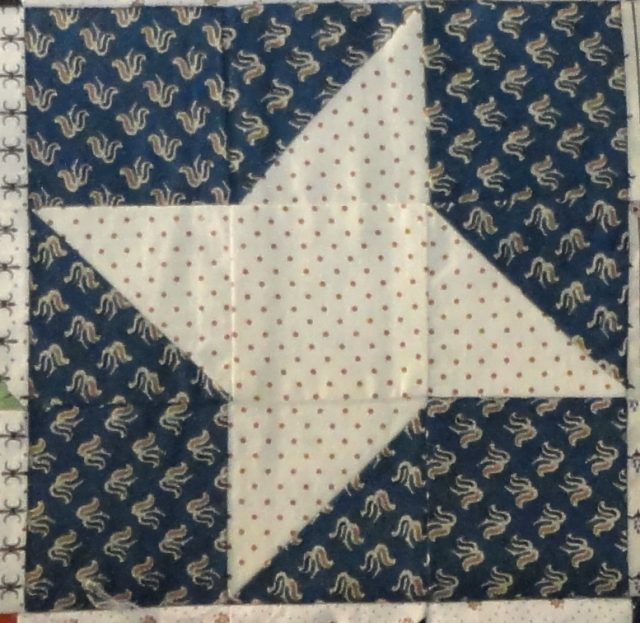 The final installment of my orphan blocks included these four corner stars which were in a straight line. 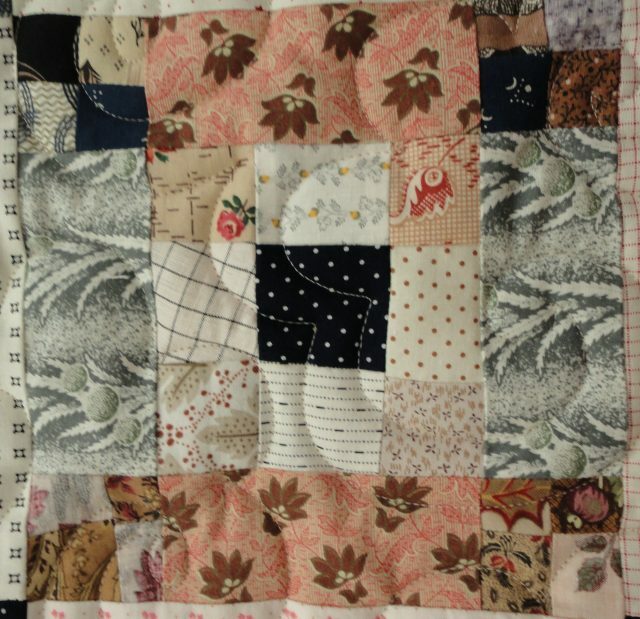 I joined them in a square, added four scrappy borders and a final scalloped border. custodia iphone 7 plus brillantini It turned into a fine table topper. custodia iphone 7 plus specchio My challenge is complete! 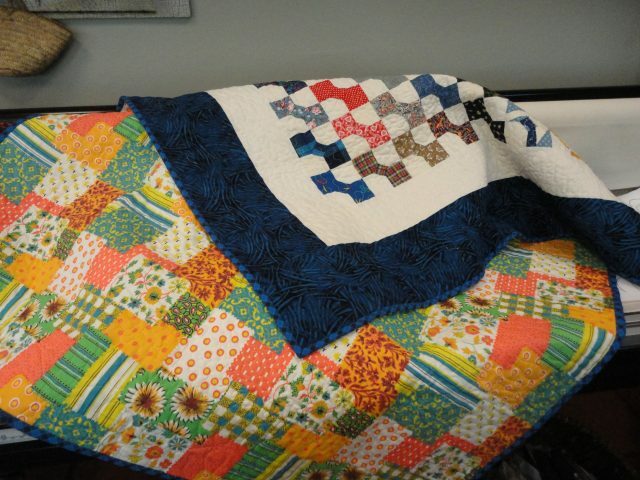 I finished up four projects in a short amount of time, used up batting scraps that I had on hand, used backing fabric that was donated, and had a fantastic time with various quilting motifs. 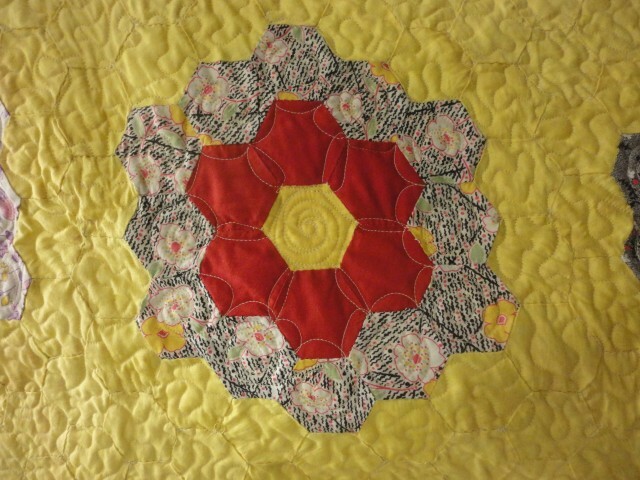 custodia iphone 7 rosa oro Since finishing these quilts, I was given a garbage bag full of hand pieced blocks 4″ or less in size. I got Roman bars, bat blocks, bow ties, spools, and quarter square triangles. 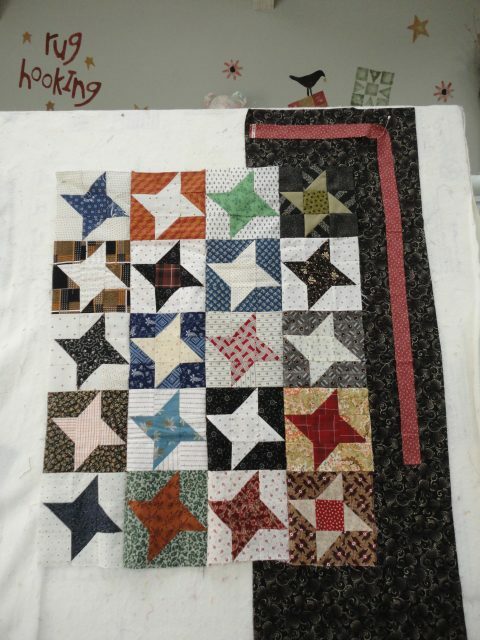 custodia in pelle iphone 6 plus It is quite amazing how fast a quilt can be pulled together as long as the blocks are done.